Theodora considers herself to be a normal duck. She loves her life of swimming laps, eating mango salsa, and reading books from different genres. She is perfectly happy on her own until a strange new duck named Chad moves next door. He dyes his feathers, splashes around, and keeps bizarre sculptures on his lawn. 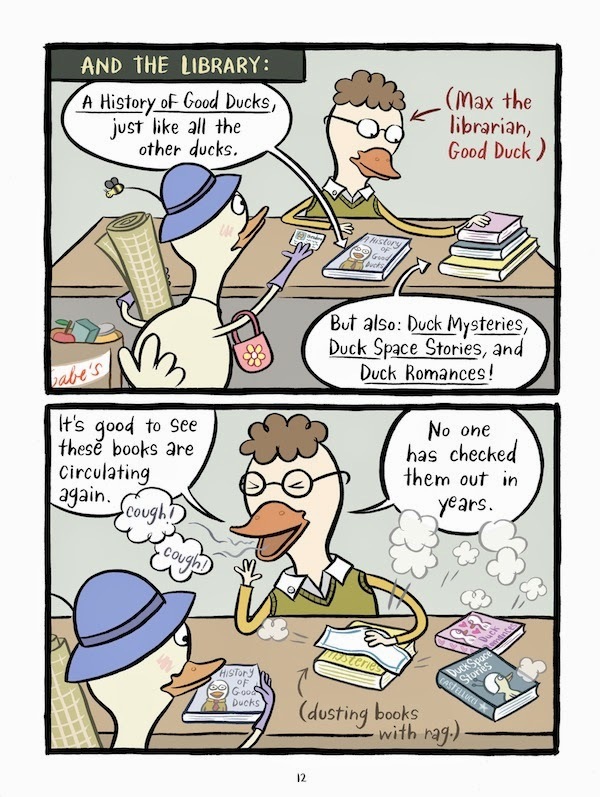 Despite his oddities, they become friends until they realize that one of them is the odd duck…and it might not be Chad. Cecil Castellucci and Sara Varon have teamed up for a sweet story of friendship and self-acceptance. I loved that Theodora embraced being an introvert, but was still able to make a new friend. At 96 pages, this is a very quick read, but still worth keeping in my classroom library. There are times when kids finish a book before the end of reading time or are unprepared for 15 minutes of D.E.A.R. It's a good to have a sweet story they can dip into for that time. 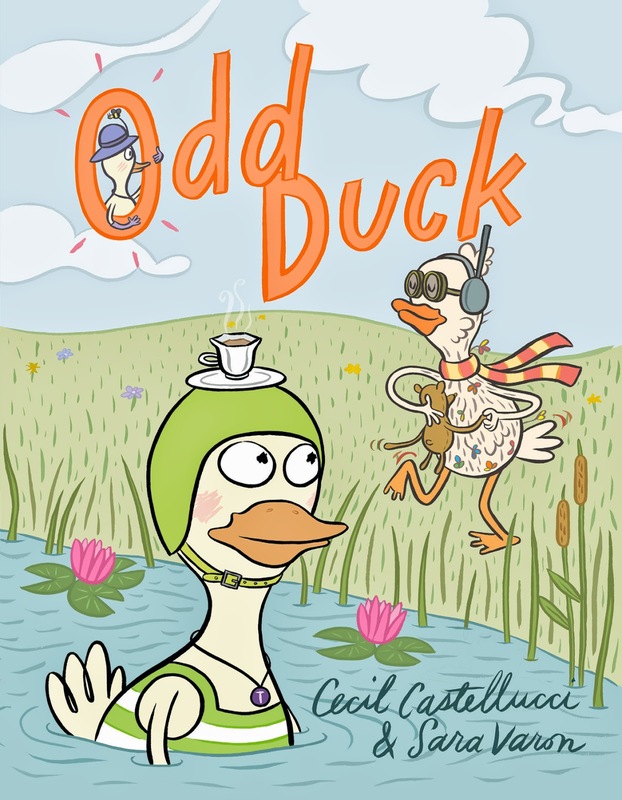 Odd Duck is a great accompaniment to Varon's Robot Dreams and Bake Sale.